Joint Chester manager Anthony Johnson has welcomed the opportunity for his team to test Liverpool’s new signings on their debuts for the club. The Reds will start their pre-season preparations away to the non-league side on Saturday afternoon, with the game clashing directly with England’s World Cup quarter-final against Sweden. 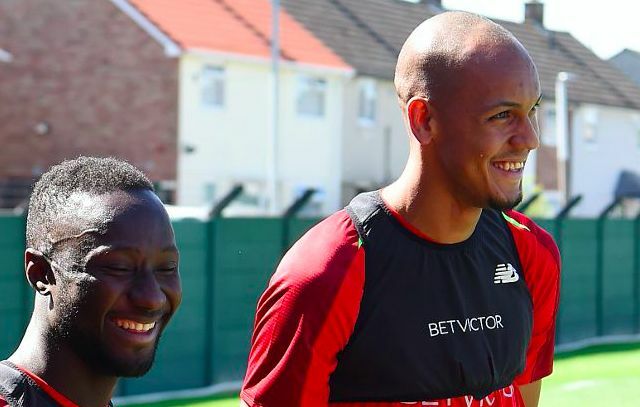 It will stage a first appearance for both Naby Keita and Fabinho following their respective summer moves from RB Leipzig and Monaco. Both reported for the first day of training on Monday and could line up together as part of a new look Liverpool midfield in the absence of Jurgen Klopp’s familiar starters. Johnson has taken to Twitter in good spirits ahead of a great occasion for the club’s players and fans. In an admirable gesture, Liverpool have agreed to give up their gate receipts in order to aid Chester financially. Besides offering Keita and Fabinho a first run-out, the game also serves as an opportunity for returning loan stars to make an early pre-season impression in a fight for first-team opportunities moving forward. Harry Wilson is a leading contender in that respect on the back of a superb loan spell with Hull City in which he registered seven goals in 14 appearances. Fellow winger Sheyi Ojo is also back to prove his worth to Klopp after spending the 2017/2018 campaign with newly-promoted Fulham. Pre-season will similarly be a realistic chance for Danny Ward to stake a claim for the no.1 spot following Loris Karius’ torrid Champions League final and for Divock Origi to earn a place in Klopp’s first-team plans for next season.